Local immigration court judges will soon hear cases from Tacoma, Wash., potentially adding months to many immigrants’ case time. 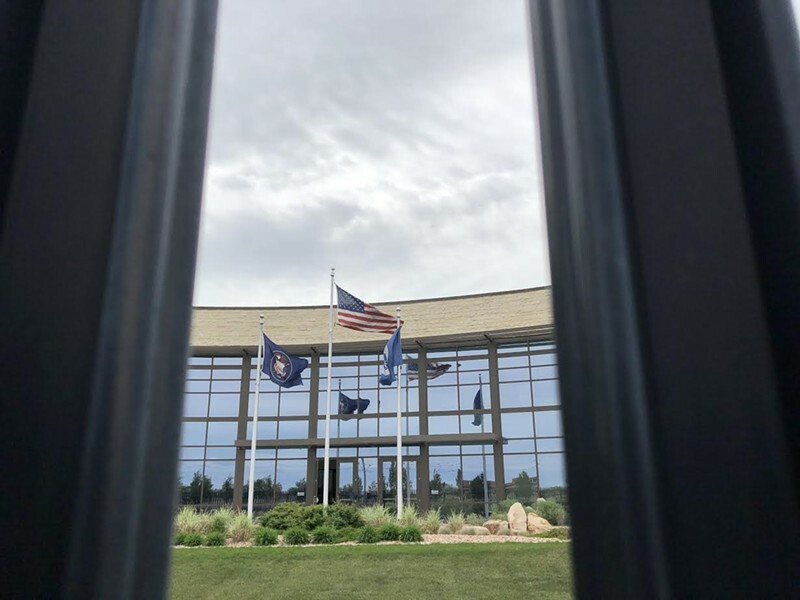 Judges in the Salt Lake City immigration court will soon hear cases via video for immigrants detained in Tacoma, Wash., delaying cases of those living in Utah while extending the jurisdiction of the Utah federal judges to include four states. "Our local immigration judges can't control this. They're just told by their acting Immigration Judge Boss, 'This is what you're doing,' and they just say, 'OK,'" attorney Adam Crayk says. Judges in the local court, technically located in West Valley City, hear the cases of non-detained immigrants from Utah, as well as those of immigrants in Montana and Idaho via VTC, a video feed. As confirmed by Terri Kaltenbacher, spokesperson for the Executive Office for Immigration Review (EOIR), two immigration judges assigned to the Salt Lake City court will begin hearing cases of people detained in Tacoma beginning in early July, because resolving the cases of people currently detained is EOIR's "highest priority." "VTC provides coverage to locations where EOIR does not have a physical presence and, in areas where EOIR does have a physical presence, creates greater flexibility in docket management by enabling non-local judges to assist with hearing cases," Kaltenbacher wrote in her statement. Each of the court's three judges soon will hear cases from Tacoma: Judge David C. Anderson will hear Tacoma cases full time for the rest of the year, while Judges Christopher M. Greer and Phillip M. Truman will rotate presiding over them in three-month cycles. 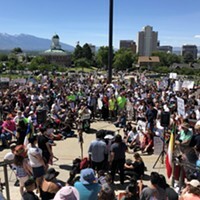 Attorney Jared Lawrence estimates that between one-half and two-thirds of cases currently on the Salt Lake City docket will be rescheduled to accommodate the new slew of hearings. "It sounds like the detention center in Tacoma is just overloaded," he says. "They're trying to balance it out ... the Salt Lake docket actually goes through fairly quickly compared to the rest of the country." According to data from Transactional Records Access Clearinghouse, a nonpartisan database maintained at Syracuse University, immigrants—referred to in court as "respondents"—appearing before the Salt Lake City court's three judges wait an average of 510 days between when they're issued a notice to appear by the Department of Homeland Security and when a judge rules on their case. It's not clear how the large chunk of cases being reset will affect wait times, though Kaltenbacher notes in her statement that respondents might request an earlier hearing date. Crayk says his clients already have started getting reset notices, pushing their individual hearings back between six and eight months. "Essentially all of my hearings that were scheduled to take place this year have been bumped to 2019," Crayk says, but that's not necessarily a bad thing: "This kind of a continuance does not hurt our feelings. It kind of alleviates the workload. In all candor, for some it gives us more time to prepare," Crayk says. That extra time is critical, Crayk adds, in light of a ruling recently issued by "our moron Attorney General, Jeff Sessions," in which the AG overturned an immigration appeals court ruling that granted asylum to a Salvadoran woman who said she'd been abused by her husband. "It gives us time to rework the potentially domestic violence-based cases that we have for asylum," Crayk says. Leonor Perretta, immigration attorney and liaison between EOIR and the American Immigration Lawyers Association, says a hearing delay can be good or bad, depending on the individual's or family's circumstances. On one hand, it gives attorneys more time to prepare, but evidence could get stale or conditions in the respondent's home country could change before the newly rescheduled court date, hurting their chances of staying in the U.S. "Generally, it's probably going to be helpful," Perretta says. "But it can be bad in some situations." Respondents whose cases have been pushed back can't be deported or ordered to leave the country until a judge issues a ruling, so the delays buy them more time in the U.S., regardless of the strength of their cases and whether they're likely to be granted immigration benefits or not. As for his clients' feelings on the reset notices, Crayk says, "They love hearing that their cases are continued ... Some of them have work permits, so they're happy to just plug along and keep working." Jonathan Z. Paz, another immigration attorney, says he's also heard about the rescheduling notices. But his understanding is that it's happening because of cases being put back on the docket after judges had exercised "administrative closure," in which they temporarily remove cases from their dockets without issuing a ruling because the U.S. Citizenship and Immigration Services is processing a respondent's visa, or green card, application. Sessions ordered the ending of this practice in May, writing that it "lacks a valid legal foundation." But he also ruled that putting those cases back on dockets "would likely overwhelm the immigration courts and undercut the efficient administration of immigration law." Instead, he ruled that those cases administratively closed should remain closed unless Department of Homeland Security attorneys or respondents request otherwise. Still, Paz says, judges can no longer administratively close cases when respondents are waiting on visa applications, so they have to schedule individual hearings even though USCIS is still processing those visas. "I have seen the judges struggle with this. I've seen them chuckle and say, 'To hell with it,'" Paz says. "Obviously, the clients are in the worst positions, but after the clients, the judges are in the worst spot. They took these jobs to be judges, and they're kind of having that ability taken away from them." Perretta says that all of this—Salt Lake City judges hearing cases from yet another jurisdiction, the Trump administration's strict immigration policy, Sessions' ending of administrative closure—means more people are going to be in removal proceedings in the Salt Lake City immigration court. "More people means more time," Perretta says. Sessions announced a "zero-tolerance policy for criminal illegal entry" in April, warning that persons illegally entering the country would "be met with the full prosecutorial powers of the Department of Justice." Sessions' so-called "renewed commitment to criminal immigration enforcement" means more people will end up in immigration court, Crayk says. "I think he's single handedly bumping our courts back years and years and years." 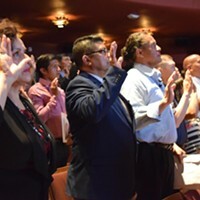 More than 100 immigrants and refugees were naturalized Friday.